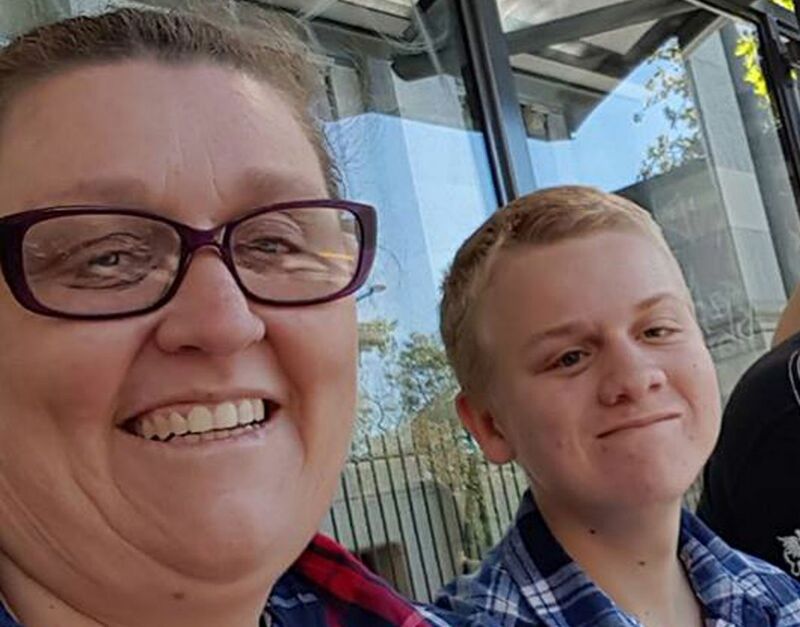 An investigation has been launched into accusations of race discrimination at a Northern Territory Hotel which allegedly assigned inferior rooms to Indigenous guests. 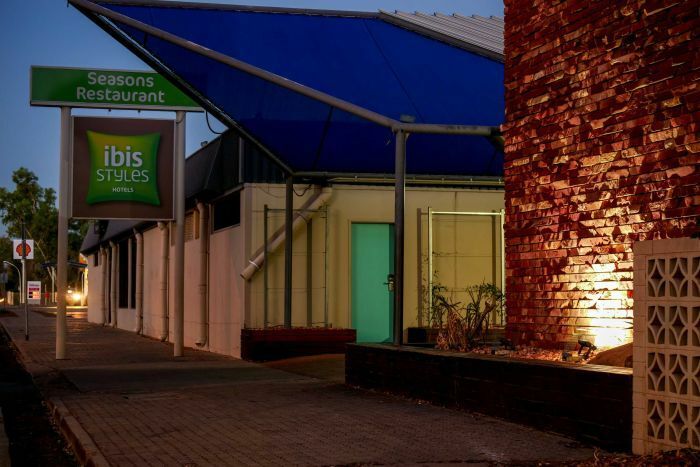 The Accor Hotel Chain – which owns the Ibis Styles Alice Springs Oasis Hotel – has confirmed it has put “interim management” in place to operate the hotel as it conducts an internal investigation. It has also announced that staff members will undergo urgent anti-discrimination training in the wake of the allegations. 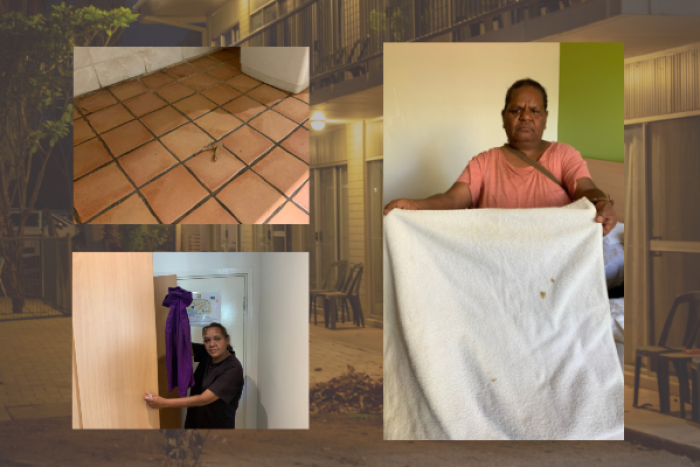 A recent undercover investigation by the ABC’s Background Briefing program appeared to confirm reports that Indigenous guests at the Ibis Styles were charged the same rate as other guests, but were assigned inferior rooms that were unclean, with dirty linen, food scraps on the floor and exposed wiring around skirting boards. “Hi team. Just to keep everyone in the loop we are now only putting hospital linen into rooms 85 to 90. These rooms are to be referred to as community rooms and we will try to limit them to just that, those coming from the communities. Background Briefing tested the policy by booking two different groups into to the hotel – one Indigenous and one not. Both parties were charged the same rate of $129, but the rooms they were assigned were different. Just as the staff email directed, the Indigenous party was sent to an inferior room, number 86, while the other group was assigned one of the higher quality rooms, number 48. Inside room 86, the Indigenous group found stained sheets and towels, as well as clothing belonging to former guests. There was broken glass and rubbish in the patio area, dried liquids on the windows and walls, a stale smell in the air and exposed wires around the skirting of the room. There was also chicken bones left on the bathroom floor. The room assigned to the non-Aboriginal group had none of these issues. 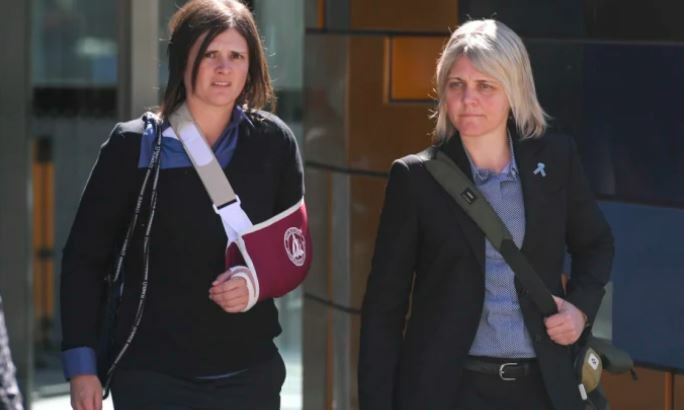 Ibis Styles hotel manager, Jo McKenzie, told Background Briefing that the hotel did not have a policy of segregating Aboriginal guests. “We have two room types — being standard rooms and superior rooms — and we allocate on how people book,” she told the ABC. When challenged about the staff email leaked to the ABC, Ms McKenzie said it was “not relevant at the moment”. Accor Hotels, which operates the hotel on behalf of the third-party ownership, said it was “extremely saddened and disappointed” by the allegations. The hotel giant announced it had taken “swift and decisive action” – including replacing management and launching an internal investigation. Accor also said it had arranged cultural training for staff. George Calderon, employment lawyer and seconded consultant at Discrimination Claims, said the case was a clear example of race discrimination. 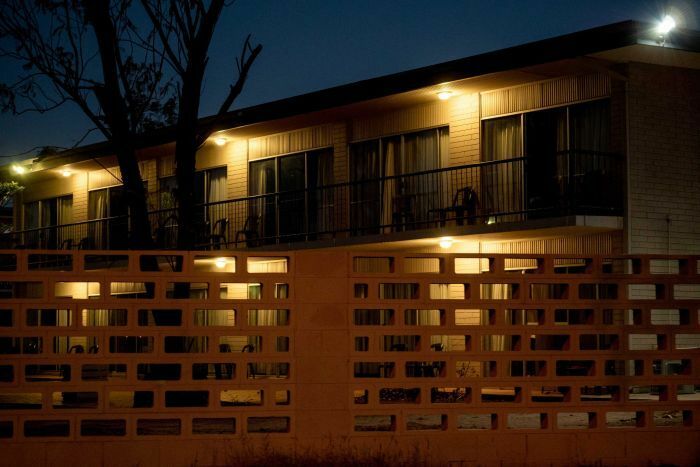 “If there is a policy in place that states that Aboriginal guests at this hotel were to be assigned filthy and disgusting rooms, while still being charged the same rate as other guests who were given better rooms, then that is a blatant case of discrimination,” he said. Mr Calderon said anyone who is subjected to race discrimination should seek urgent legal advice because they may be entitled compensation. 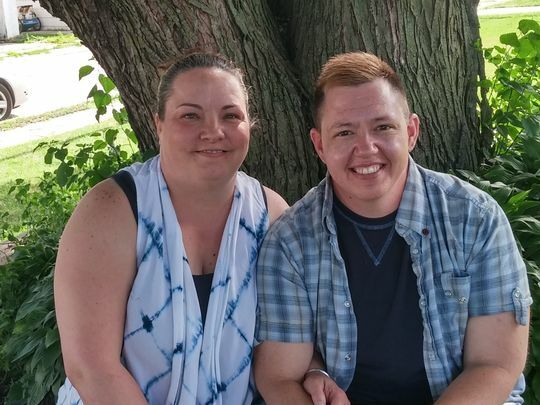 “The problem in this case is that many of the Aboriginal guests probably didn’t know that they were in an inferior room, because they wouldn’t get to see what the others were like, to compare them,” he said. 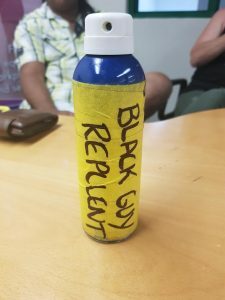 Discrimination Claims recently settled a shocking case of race discrimination and vilification on behalf of Maori man McDuff Tupetagi – who was subjected by racial taunts before being given a can of sunscreen by his colleagues with the words ‘Black Guy Repllant’ [sic] written on it. Mr Calderon was part of the team that helped negotiate a substantial compensation payout for Mr Tupetagi, which was paid by the Rainbow Beach tour company where he worked. “It was one of the worst cases of race discrimination that we had ever seen, and it cost his employer big time,” he said. George Calderon is one of our specialist team at Discrimination Claims who can assist people who have experienced discrimination based on their race, skin colour or ethnic origin. >> What is race discrimination? If you have experienced discrimination on the basis of your race, skin colour or ethnic origin, you may be entitled to compensation.